Unlike many other companies, Progressive Debt Relief does not charge any upfront fees. The company also offers a free consultation to get started. Progressive Debt Relief places the highest priority on the financial success of its customers. Since 2005 the company has been aiding people with major debt problems to help navigate their way out and to find financial freedom. Over the last decade of service, Progressive has built positive relationships with its customers as well as creditors. When all parties can compromise on a satisfactory solution, Progressive counts this as a success. The company’s focus on customer satisfaction and positive experiences put Progressive in a different category among its industry peers. 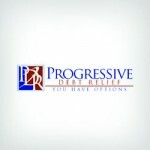 The free consultation that Progressive offers its customers is much more in-depth than other debt solution companies. Progressive offers consultations with certified counselors. During the consultation, a customer will get a personal financial analysis. This analysis takes an overall look at the financial issues and the solutions to fix them. Progressive’s debt counselors have worked to build positive relations with their clients and creditors. This two-way relationship helps them to get to come to a conclusion quickly. This allows for the customer to begin their repayment plan. There are no upfront fees to enroll in Progressive’s programs. This is extremely generous and uncommon in the industry. Most companies charge an up-front fee up to $50. These fees are determined by the individual’s circumstances and the state they live in. Potential customers who choose to work with Progressive do not have to worry about this fee. There is no pricing information given to the customer who is researching Progressive, other than the statement declaring there are no up-front fees. The monthly fees a customer will be required to pay will be discussed after the debt management plan is already in place. This can be very inconvenient for potential customer’s who are searching for the company that best fits their needs. It is also difficult for our team to rank the company without this pertinent information. In order to receive help with a debt issue, a customer must have at least $10,000 of debt to work with Progressive. This requirement restricts those customers who have less debt, but need help managing their situation. It is not uncommon for companies to require a minimum debt requirement, but $10,000 is high in the industry. There are several organizations that debt consolidation companies can be accredited by to ensure quality standards and that industry best business practices are being used. Unfortunately, Progressive is not accredited by any such organizations. This is not a deal breaker but should be considered by potential customers. There is a major lack of transparency with important information such as monthly fees and average interest rates. In order for the customer to really get a sense of what services they would be receiving, they would need to do a lot of in-depth research and talking with previous clients. Another issue is that Progressive is not accredited by any major organizations and so customers can’t be sure of the quality of services. For these reasons, we cannot recommend working with Progressive Debt Relief at this time. Progressive Debt Relief has been aiding people with financial issues since 2005. They recognize that no two customers will have the same debt scenario in their lives, therefore they treat each individual’s situation with personalized care. Progressive offers their customers many options for working towards financial freedom. In the company’s free consultation session, a customer will receive a plan for how they can get out of debt. This could be debt settlement, debt repayment plan, debt management plan, or bankruptcy. After the consultation, the customer can choose to use Progressive’s help to work through their financial issues. The monthly price is not disclosed on the website at this time. There are no upfront fees for Progressive Relief customers, they are not charged anything until a payment has been made on a debt. Anyone who is interested can get a free consultation call with a Progressive Relief expert. During this call they will get a Personal Financial Analysis which goes over the issues and solutions for each case. Progressive Debt Relief has been providing debt relief services since 2005. Progressive Debt Relief does not offer any educational resources for clients. There is no cancellation policy for Progressive Relief services, customers can opt out at any time. Progressive Debt Relief will only work with unsecured loans. 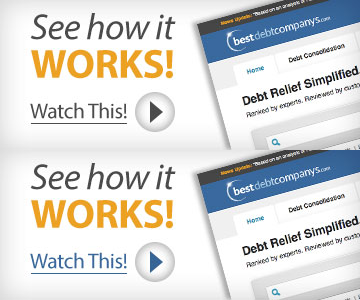 Progressive Debt Relief does not offer a mobile-friendly version of their site. Progressive Debt Relief does not have published business hours at this time. Progressive Debt Relief offers debt management plans, debt settlements and refinancing. Progressive Debt Relief does not have a minimum debt requirement published on their website. Progressive Debt Relief offers a dashboard for the convenience of their customers. Progressive Debt Relief is not CPFC certified at this time. Progressive Debt Relief is not ISO certified at this time.